First, mix your pork mince, bacon, diced garlic and onions together. Season them with salt and pepper. To ensure the meat mix is seasoned enough, grab a pinch of meat from the mix and lightly cook them on the pan and taste. Season the meat mix further with more salt and pepper if needed. These meatballs can be prepared in advance as they freeze very well. If you are planning for a dinner party, you can always cook the meatballs up to a week in advance but remember to freeze them after cooking. To prepare the meatballs, heat up your pan and put in 2 tablespoons of olive oil, using your hands or with a spoon, take some meat from the mix and shape them into meatballs, to the size of slightly smaller than a ping pong ball. Arrange them on the pan nicely and turn them around according until they are thoroughly cooked. Remove the meatballs from the pan once cook and leave them aside. In a separate pot, cook your preferred pasta until they are al dente. Your pan is now filled with the juice and oil from the meatballs, to the pan, add about a tablespoon of Tabasco sauce, a tablespoon of Worcestershire sauce and a teaspoon of sugar. Cook till the sauce begin to caramelized. Add the can of peeled tomatoes and crush the tomatoes. Continue to cook the sauce until it starts to thicken, add salt and pepper if needed. When the sauce starts to thicken, add the meatballs back into the sauce. Pour in the half glass of red wine and stir. If the meatballs and pasta sauce is to the desired taste and consistency, add in your al dente pasta and a little bit of those pasta water. Toss them around a little and your meatball pasta is ready to be served. You can also grate some Parmesan cheese onto the plate right before serving. This pasta recipe is quick and easy to make if you just want to stay in for dinner. Do give this a try and let me know what you think. Enjoy. I like pasta so much. Its looking very tasty and yummy. 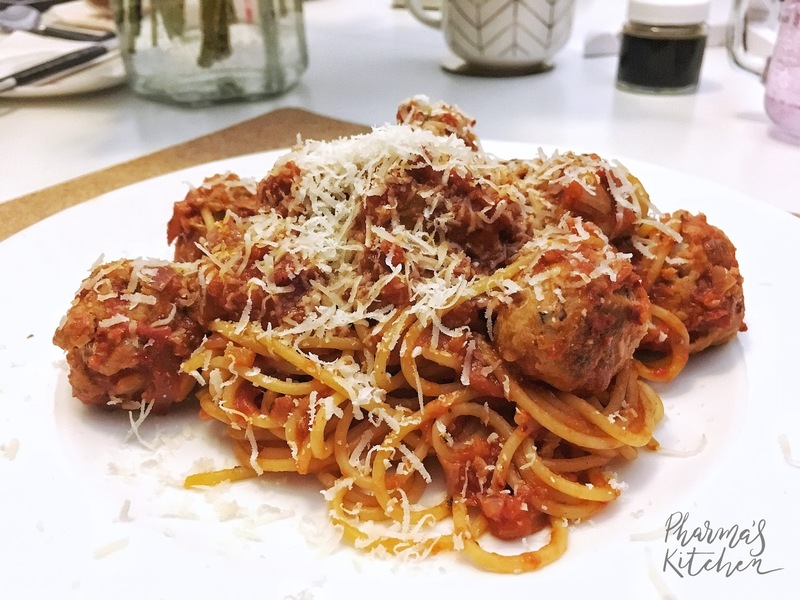 Thanks for the sharing the recipe of Meatball and Spicy Tomato Pasta. http://www.crazybulkresults.info.